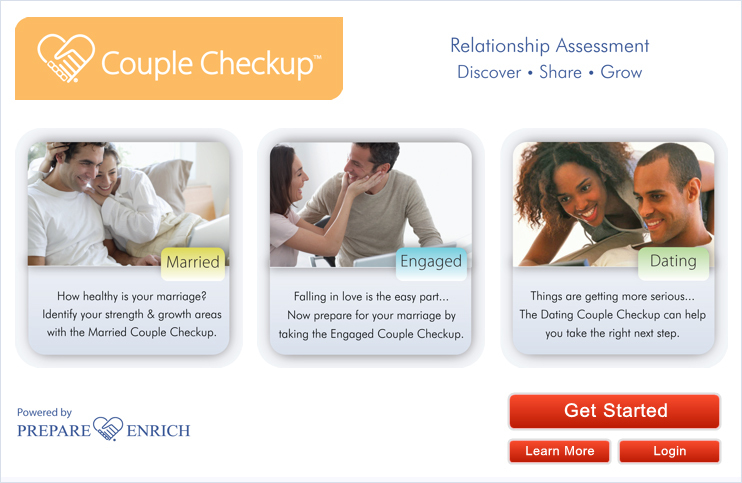 We highly recommend this online Couple Checkup as a way for couples to assess their current strengths and growth areas. Designed by Life Innovations, Inc., the same organization that developed the PREPARE-ENRICH premarital and marital inventories, the Couple Checkup is solidly researched for validity and accuracy. A powerful and unique aspect of the Checkup is that the questions are tailored to you as a couple. Based on background questions you answer, your Checkup will be customized to include questions specific to your couple type.